In the city of Monstropolis, the city of monsters, several monsters work as scarers of children, so that they can derive the screams of children that powers the city. Star scarer Sullivan, fondly called as Sulley, and his best buddy, Mike Wazowski, top the records in the number of scares, inviting jealousy from their counterpart Randall Boggs. Randall Boggs tries to kidnap a girl, and accidentally Mike and Sulley come in the possession of the girl. They get terrified as the monsters have always been informed that the touch of a human child can kill then. So, the CDA- the Child Detection Agency- had been formed to detect human children. Sulley and Mike try to protect the child, who is lively and not afraid one bit. But Randall Boggs also keeps trying to kidnap the child. The child, who is named as Boo(because she keeps saying that) by Sulley, creates all sort of trouble for the two star monsters. While trying to escape, Boo and Sulley discover a secret passage formed by Randall that leads to the place where they get to know of Randall’s horrible plan. 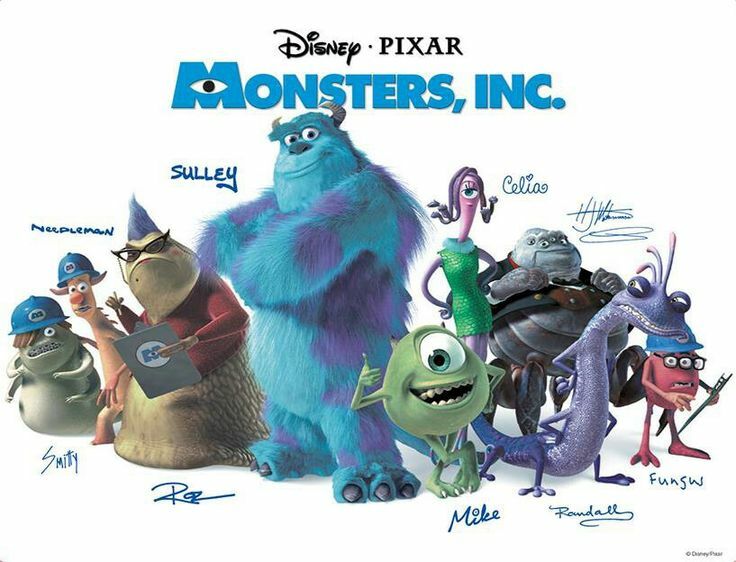 Finally, they go to Waternoose, the CEO of Monsters, Inc., and explain the situation hoping that he might help. But to their shock, they find Waternoose part of the conspiracy teaming up with Randall Boggs! They get kicked off to the Himalayas, and the child is taken away from them. But, Sulley and Mike come back, and rescue Boo from the hands of the capturers. Then the climax comes, which is really very nice. The bad guys get defeated and they are arrested. The Monsters, Inc. stays on but with a new role. Monsters make children laugh and power is derived from laughter rather than screams! That was a very nice ending! I especially liked the parts where Sulley and Mike experiment with the kid but thinking that they might die if she touches! The story is very nice. The animation was very good. I loved Boo and Mike Wazowski! The movie is fun to watch!